Raspberry Pi give away winners, Report! A Man On A Mission! LocationThe Southern State That Started It All. Thought I would start this thread topic for "The 8" winners of the first Raspberry giveaway and all interested parties. 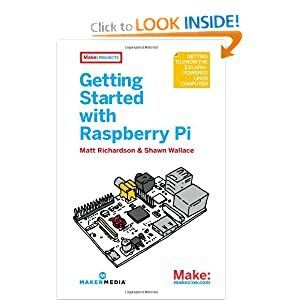 Report on your piece of the Pi and progress and share with the community. Report on your initial setup, equipment and anything else you used to get started. This was the first giveaway at a time when Android security and OEM's are trying to slow us all down. Now we have something that could be used in Android development and just about anything else you can imagine. So come, join in and share your thoughts, ideas and feelings about this project. My initial setup started with a visit to the local Barnes and Noble earlier today. 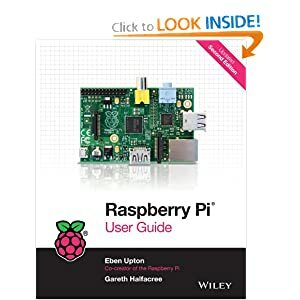 Since I consider myself a relative newbie in programming, I purchased the Raspberry Pi for Dummies book and will peruse it a bit before diving into the box of goodies that arrived a couple days ago. I must admit I feel both excited and overwhelmed. However, the anchor will be lifted and the journey will commence! Same here on the Pi. You check them out at your local book store or Amazon. Up and running since Friday. What have you done so far? I'll have one tomorrow or Tuesday. I've just got it running with Rasbien for now. My wireless keyboard and mouse arrived with the mouse DOA so I haven't been able to setup my WiFi connection. I had to edit the config.txt file to get my monitor sized so I could get a full screen. That's about it. I think I may try another operating system maybe Arch. Mine is arriving today! I won't get a chance to play with it till probably Friday though. I might bring it to a hackfest I'm entering this weekend. Not sure if we'll use it, but it is nice to have options. Also, JuiceSSH Pro is free until Tuesday. It's an ssh client for Android. Alternatively if you miss out, JuiceSSH shares a lot of it's codebase with ConnectBot which is FOSS. Also, JuiceSSH Pro is free until Tuesday. It's an ssh client for Android. Yep, jumped on that one. I just got these today. It turns out they are pretty good for the price. I just wanted something that would give me information on the hardware and it also has some pretty decent code tips. I've never used Python, looks like this is going to be more fun than I first expected. Gotta go flash a new update for the ROM on my XT926. After reading a few chapters of my "Dummies" book and purchasing a powered usb hub, the Raspberry Pi is up and running! All looks good. I created a pi store account and installed Libre Office to see how downloads/installs performed on the device and to experience the overall process of navigating the store, etc. Libre Office Installed like a charm! I'm hoping to have some free time over the weekend and explore some more. I've been doing some research and have found most of the parts and pieces for my brewing setup. Also found a website that's doing something similar so that should be a great resource. I've learned the pi does not have an onboard ADC so I'll probably have to grab something like ADS1015 ADC to make my system work. If you don't have a pi, maybe check the Beagle Bone Black from Arduino. Stock ADC, faster CPU and more ram. I planned on starting a thread once I get things more organized. My restaurant needed more of my attention than normal this week which took away from my planned pi time. I ran the update on mine and the preloaded "NOOBS" card that came with it seemed to be little out of date. It takes a little while but seemed worth the time to get the update. Great! Thanks for the heads-up. I'll check into it when my time frees up this weekend. I have my Pi almost setup. Peeled off the backing from the breadboard and attached it to the case.